Gladstone Square. Band rotunda. The base is composed of rough-cut Angaston marble, the roof is of Marseilles terra cotta tiles. 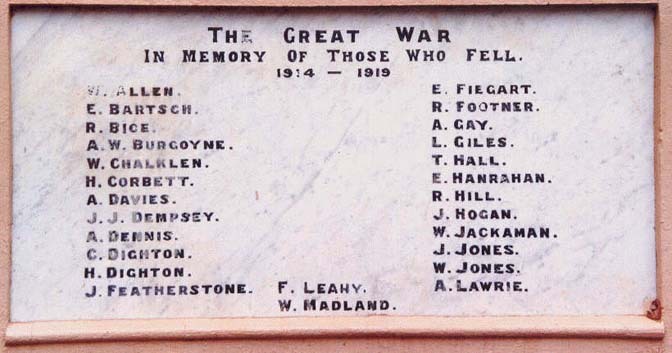 Three white marble and one brass plaque is affixed to the walls of the base. 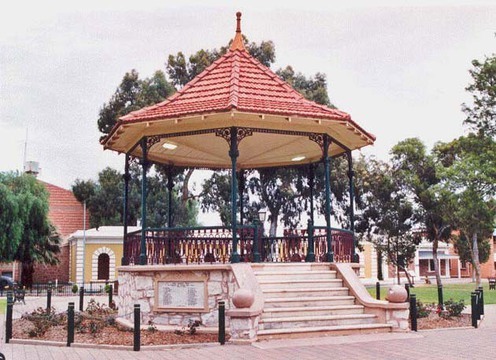 MAINTAINED BY: Port Augusta Council. 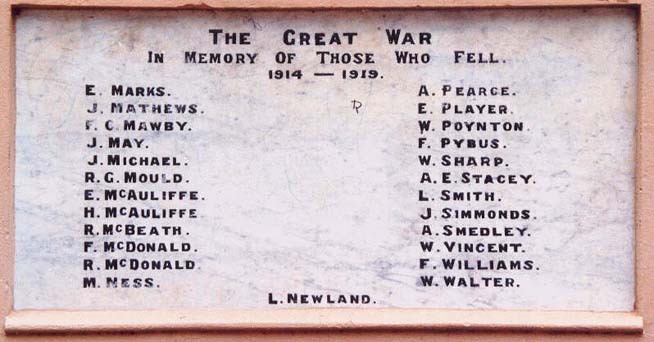 PECULIARITIES/DAMAGE: Several letters on the Great War plaques damaged. DESCRIPTION: Band rotunda. The base is composed of rough-cut Angaston marble, the roof is of Marseilles terra cotta tiles. 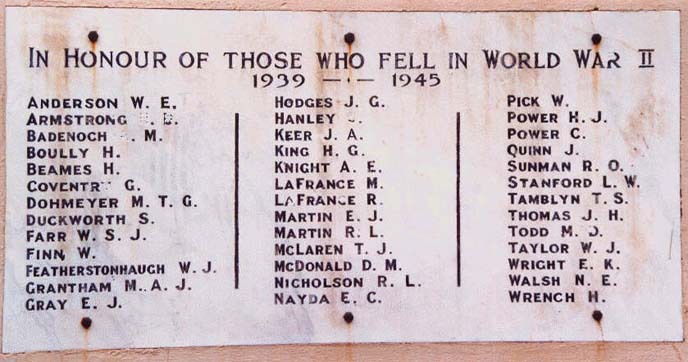 Three white marble and one brass plaque is affixed to the walls of the base. IN MEMORY OF THOSE WHO FELL. E. MARKS. A. PEARCE. J. MATHEWS. E. PLAYER. F.C. MAWBY. W. POYNTON. J. MAY. F. PYRUS. J. MICHAEL. W. SHARP. R.G. MOULD. A.E. STACEY. E. McAULIFFE. L. SMITH. H. McAULIFFE. J. SIMMONDS. R. McBEATH. A. SMEDLEY. F. McDONALD. W. VINCENT. R. McDONALD. F. WILLIAMS. M. NESS. W. WALTER. ANDERSON W.E. HODGES J.G. PICK W. ARMSTRONG H.D. HANLEY C. POWER H.J. BADENOCH A.M. KEER J.A. POWER C. BOULLY H. KING H.G. QUINN J. BEAMES H. KNIGHT A.E. SUNMAN R.O. COVENTRY G. LAFRANCE M. STANFORD L.W. DOHMEYER M.T.G. LAFRANCE R. TAMBLYN T.S. DUCKWORTH S. MARTIN E.J. THOMAS J.H. FARR W.S.J. MARTIN R.L. TODD M.D. FINN W. McLAREN T.J. TAYLOR W.J. FEATHERSTONHAUGH W.J. McDONALD D.M. WRIGHT E.K. GRANTHAM M.A.J. NICHOLSON R.L. WALSH N.E. GRAY E.J. NAYDA E.C. WRENCH H.